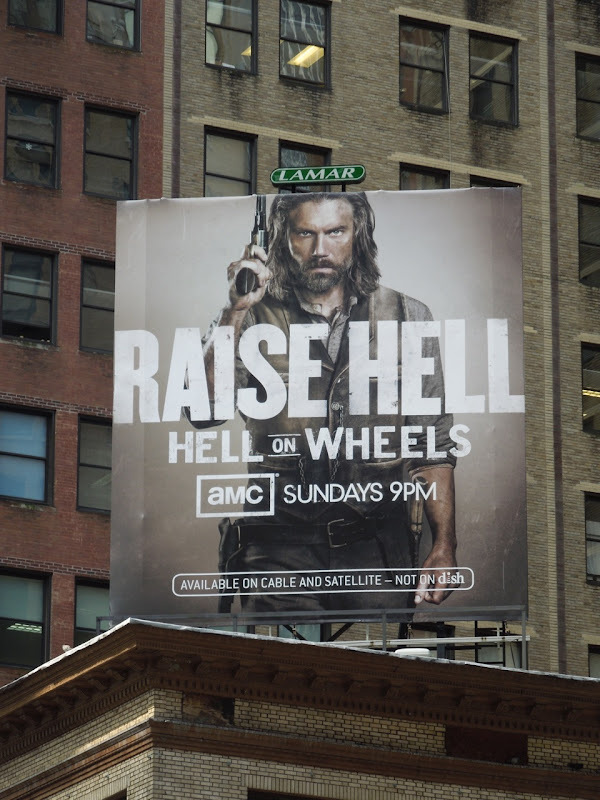 Another show back for a second outing this season is AMC's Western drama Hell on Wheels. 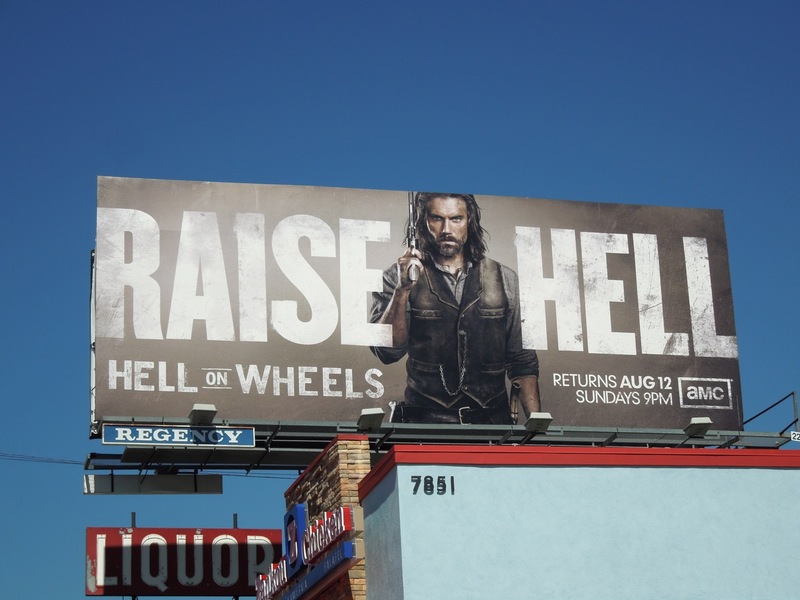 Anson Mount returns as 'Cullen Bohannon' still out for revenge for his wife's death in the treacherous and corrupt world of railroad construction in post-Civil War America. 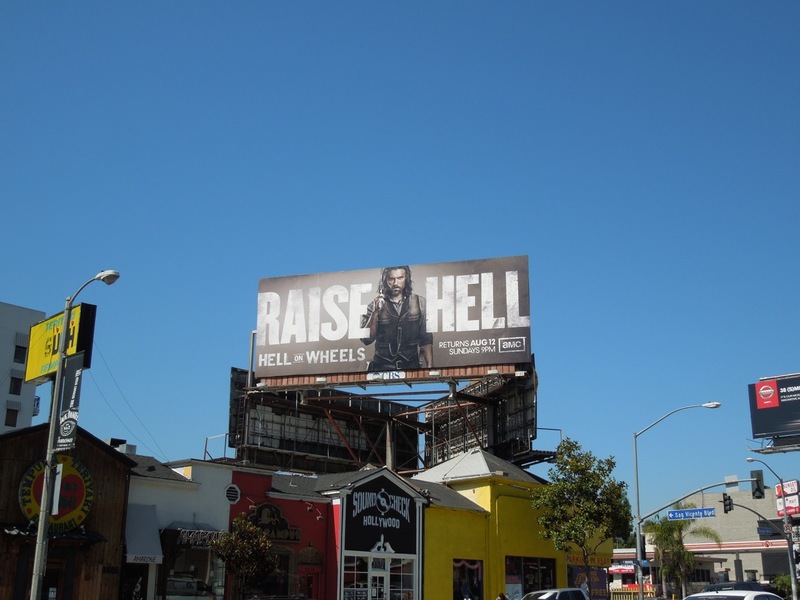 These 'Raise Hell' billboards certainly make an impact and demand your attention around the streets of Los Angeles. 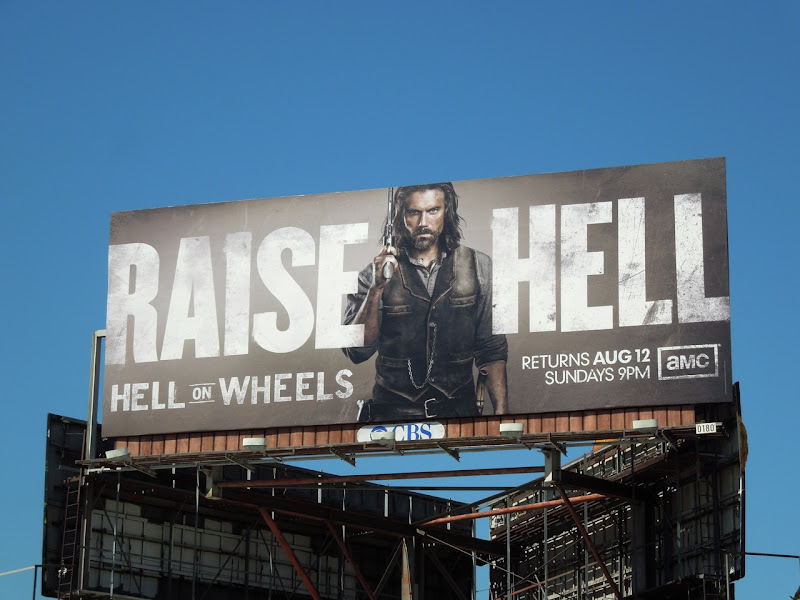 These atmospheric billboards for the series were snapped in different locations along Sunset Boulevard on July 19, 2012. 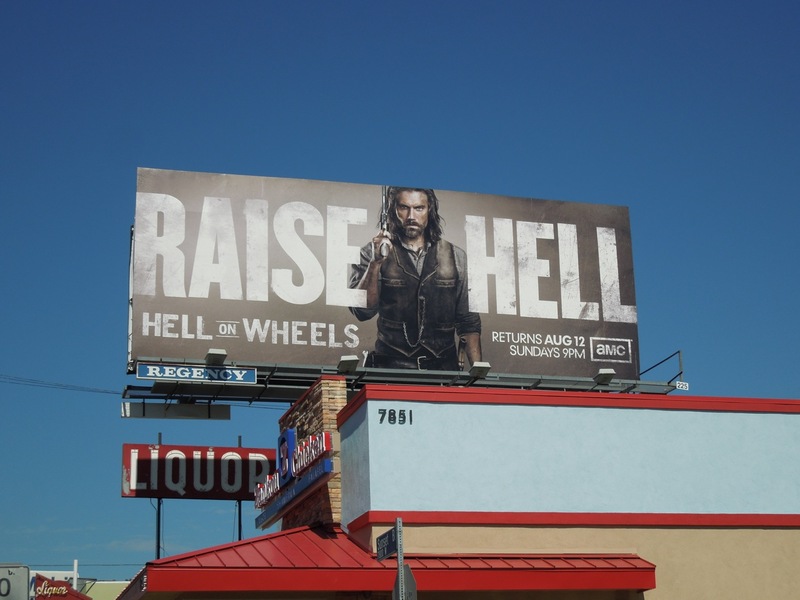 If you're a fan of the show, be sure to also check out this duo of inaugural season Hell on Wheels billboards from October 2011. 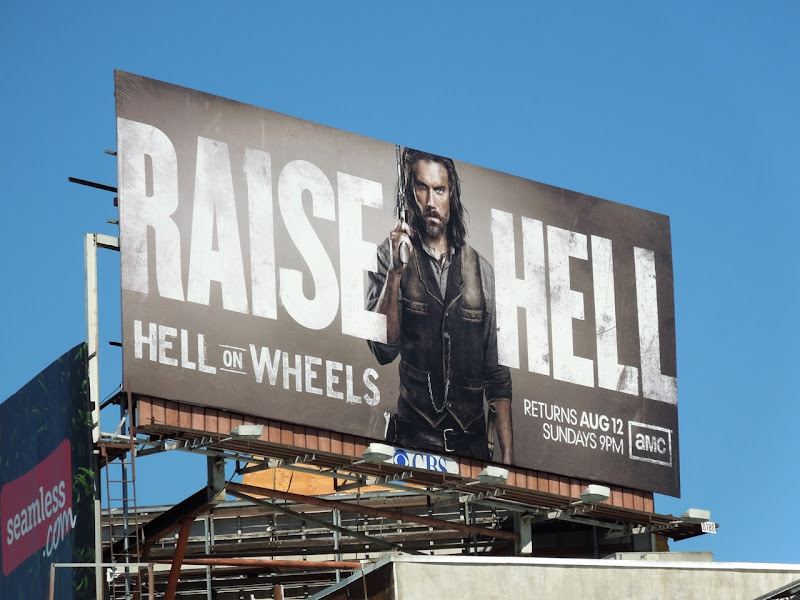 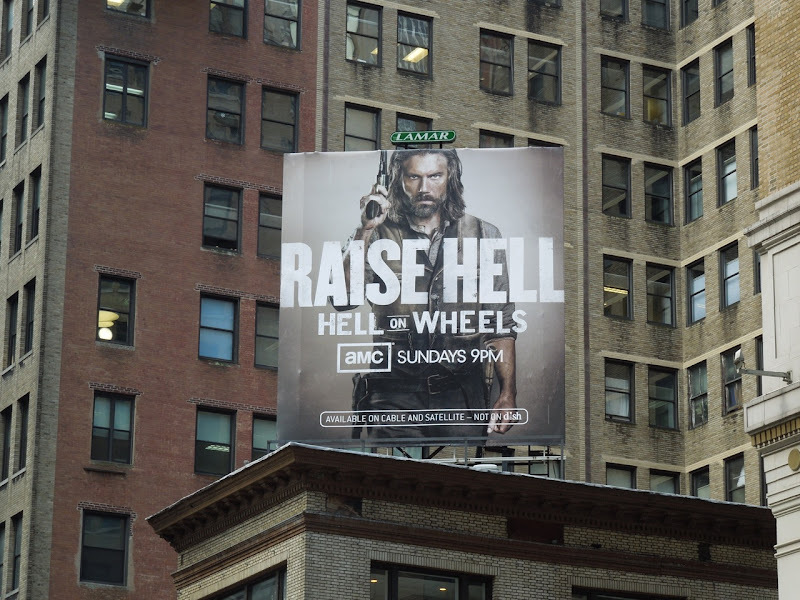 UPDATED: Here's another billboard for the sophomore season of Hell on Wheels spied above the means streets of Manhattan in New York City on August 28, 2012.